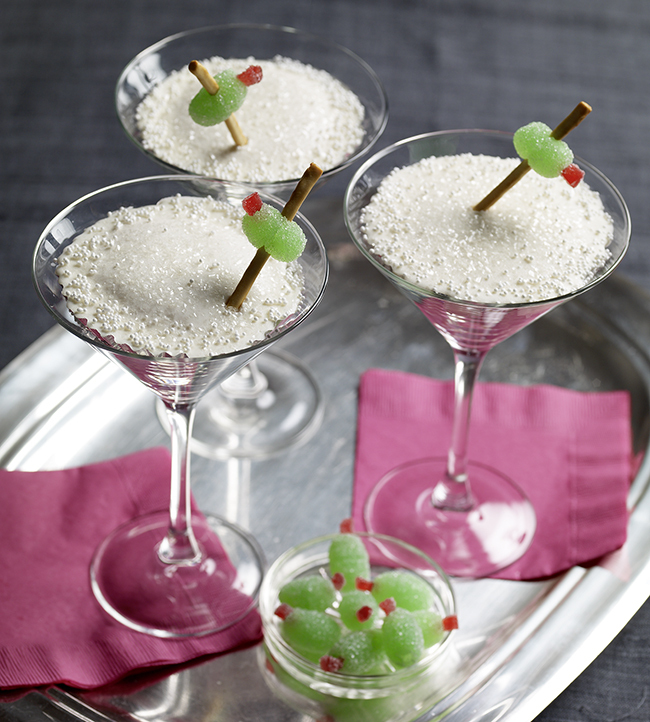 This just might be the most fun and creative New Year’s Eve dessert ever: Martini cupcakes! The cupcakes are baked in a cone shape using a simple trick, and the “olive” is made from spice drops and pretzel sticks. And for as cute as they are, you can totally pull them off at the last minute. Get the recipe and how-to at Duncan Hines.